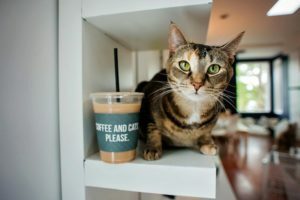 In partnership with Homeward Bound the Bixby Library will host a Cat Cafe in the Half Round Room. Come by May 4th, from 10am – 2pm and enjoy some time with a few adoptable cats. Light refreshments will be available to enjoy. Room space, number of guests, and cat needs may limit the time and number of people allowed in the room.